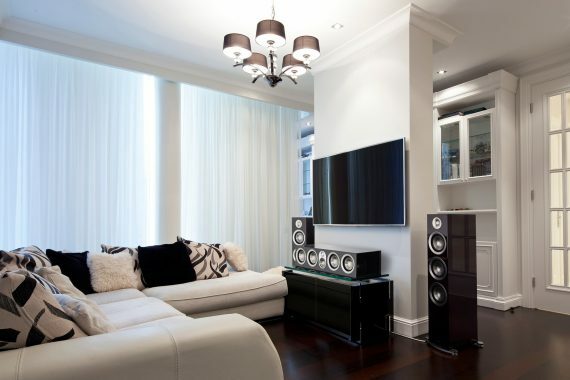 Our staff follows a strategic guideline to get the best surround sound. Different room dimensions can cause this to be a challenge. 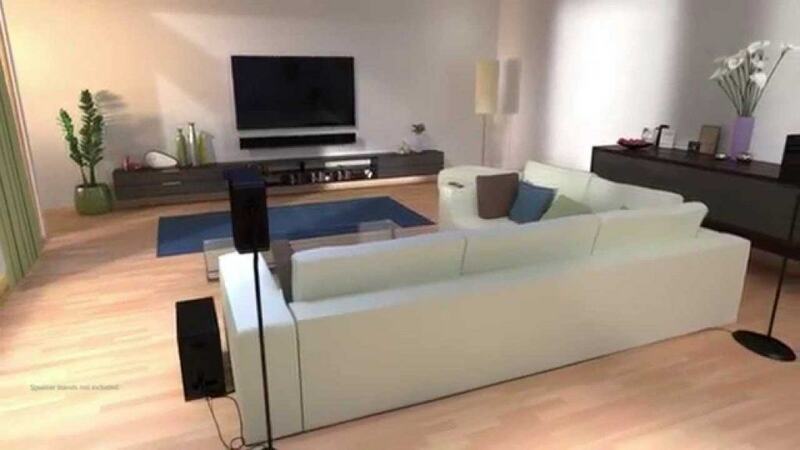 However, with the automatic speaker calibration standard in most receivers today, the impact is minimal. 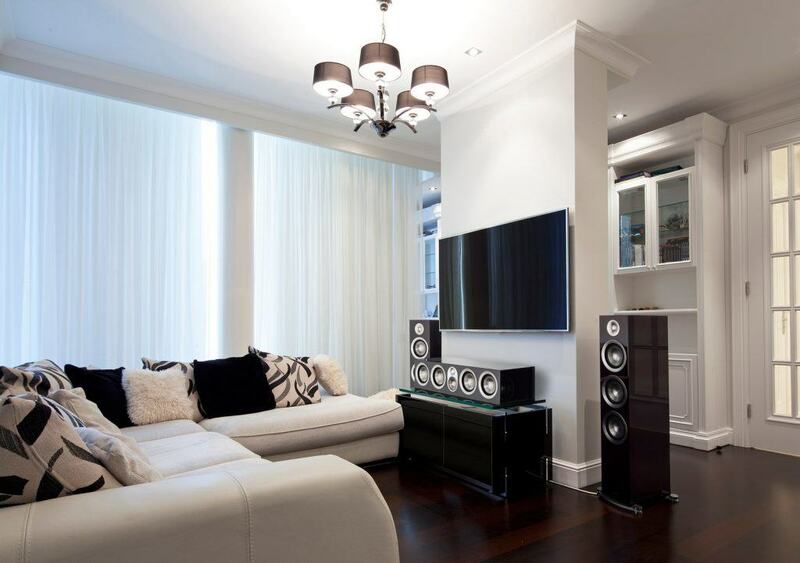 For this surround sound project, the center channel speaker was placed directly below the TV. Since the speaker was placed higher than the tweeter speakers on the left and right, it’s important to orient the center speaker just right. 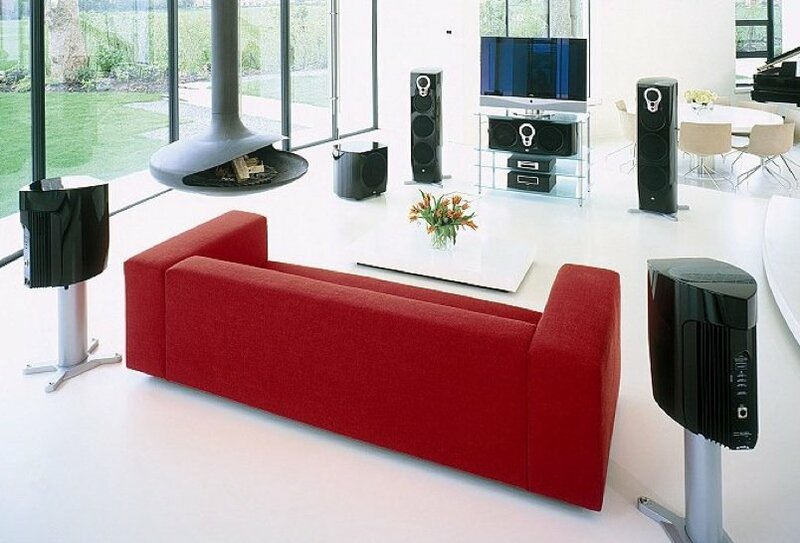 In an ideal situation, you want your front left and right speakers to form an arc. But sometimes the placement doesn’t flow well with the room. So instead, you have to work with what you have. 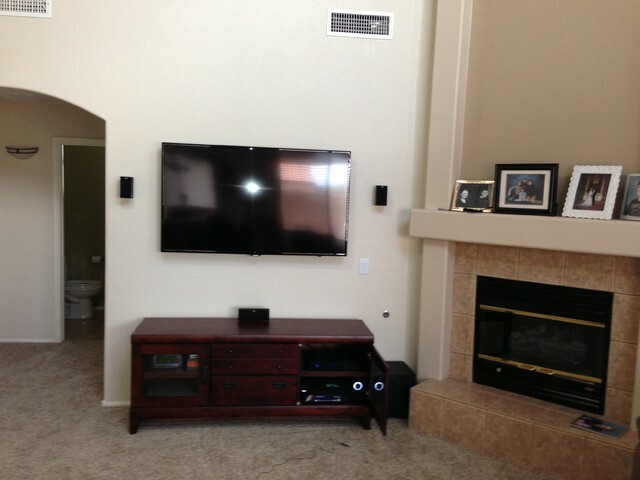 As you can see in our photo, we placed the side speakers behind the center speaker and TV. The client in this case did not mind this because as aforementioned, the lack of this ideal arc can all be mitigated by calibrating your system. Now, how about the bass? 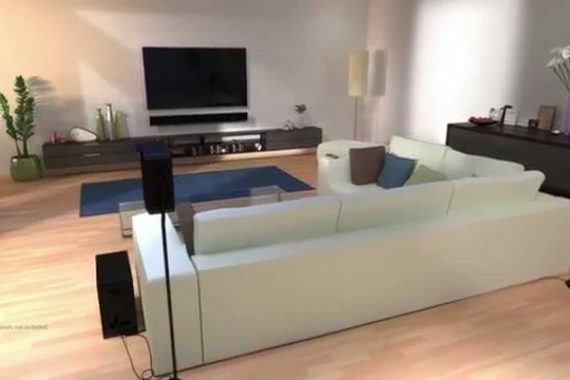 The subwoofer we used was wireless, which gave us the freedom to tuck it away in the corner. 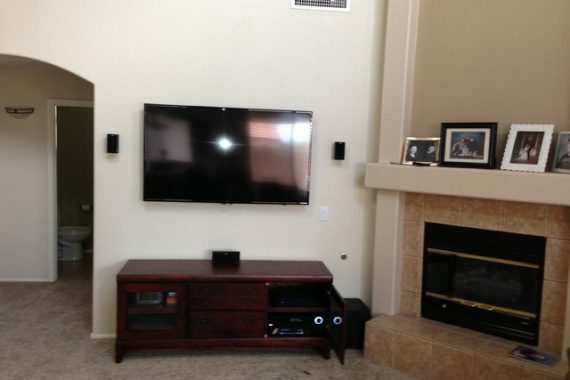 Finally, no surround sound project is complete without the actual surround sound speakers. They were positioned near the listening position. It does not matter whether you place it adjacent to it, or behind it. This is our creed; these are our values. Here is our promise to you as clients.